The age, the rarity, the materials included and the previous owner of an antique all add to it’s worth. For example, the Olyphant Battle Horn makes our list due to it’s rarity and age while the La Peregrina Pearl Necklace scrapes in due to the materials it was crafted from and it’s previous ownership. 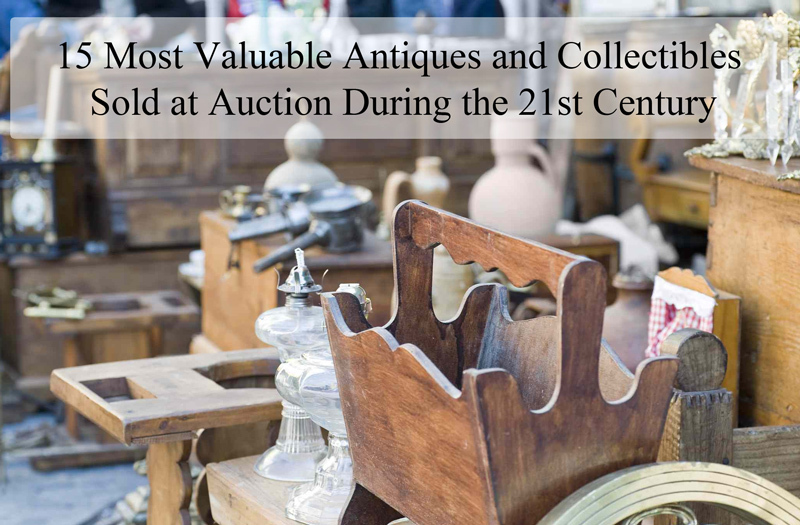 In this article we will look at the 15 of the most valuable antiques and the 5 of the most valuable collectibles in terms of monetary value that have sold at auction during the 20th and 21st century. 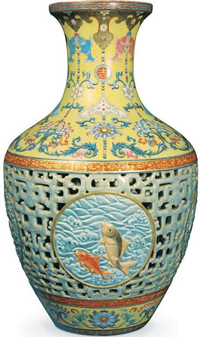 This decorative 16 inch vase sold at auction for $80.2 million USD during 2010 making it the highest priced Chinese antique item to date. Thought to have been handmade during the reign of emperor Qianlong, experts suggest it was created originally for one of the palaces. The body of this vase is detailed with enamel featuring pastel blues and yellows. The bottom of the vase is marked with the imperial seal authenticating it’s age. 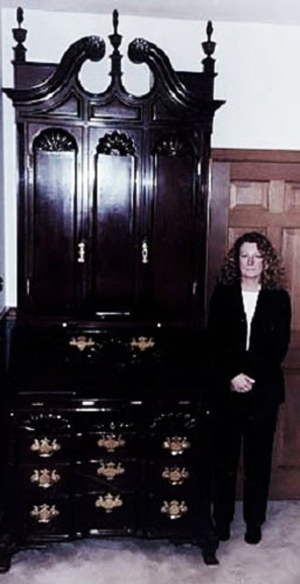 The Badminton Cabinet remains the most expensive piece of antique furniture when it sold under the hammer for $36 million during 2004. 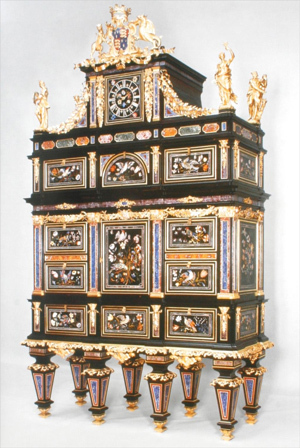 Originally constructed in Florence during the 17th century, this cabinet is a work of art with it’s hundreds of inlaid precious stones. It was originally crafted for the third Duke of Beaufort and gains it’s name from the private residence in which is was kept. This piece of art took 6 years to make and stands 3.8 meters tall by 2.3 meters wide. The Badminton Cabinet can now be found in the Liechtenstein Museum for all to see. 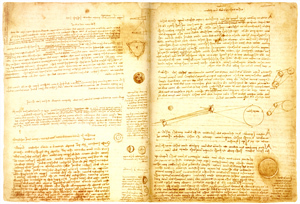 Written in the words of Leonardo da Vinci, the Codex Leicester is the most expensive book in history. This book is a 72-page document that contains sketches and ideas revolving around astronomy and the properties of natural elements. This book also details theories about the origins of fossils and ideas about air and celestial light. Written in antique Italian, and from right to left, this book can only be read through a mirror and with some difficulty. This work of art is suspected to have been written between 1506 to 1510 and is the most important transcript of 30 known to be written by da Vinci himself. 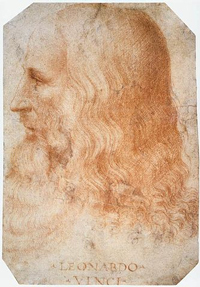 All the different topics within this codex have Leonardo da Vinci’s signature authenticating the piece. Hand crafted from an Elephant’s tusk during the 11th century, this Olyphant Battle Horn sold at a private Scandinavian auction for just over $16 million USD. 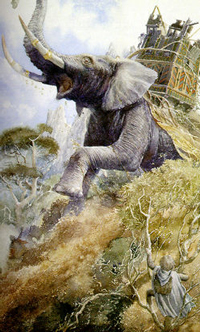 Only 6 known Olyphant battle horns exist in the world today. These horns were used to hunt around the time it was crafted and therefor the intricate details of this weapon show many different animals. While these horns were predominately used to hunt animals, many of these were used in 11th century fights and wars. 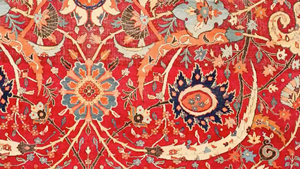 Believed to have been handcrafted in Iran during the 17th century, this rug is the only red Persian rug to have used the vase technique known in today’s society. 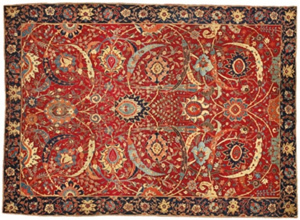 Measuring almost 2 meters wide and 2.65 meters long, this rug is made from wool on a cotton and silk foundation. While it is believed that this rug was crafted in the 17th century, others speculate it was created much earlier during the 1600’s. For the age of this rug, it is in immaculate condition seeing it sell at auction for much more than was first suggested. 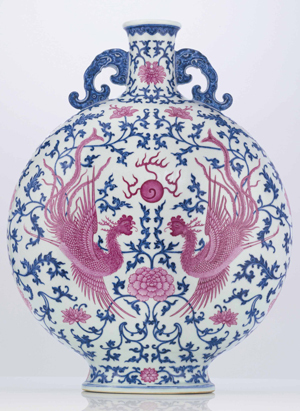 Created during the 18th century, this porcelain Moonflask was recently sold in Hong Kong during 2010 for $15.1 million. 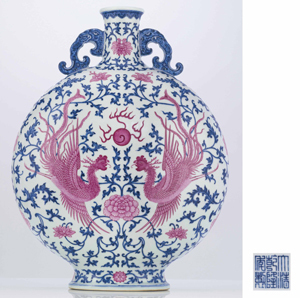 Enameled with a vibrant pink and blue and featuring Qianlong six character marking, it is thought this piece was hand crafted between 1736 and 1795. Featuring two phoenixes front and center, this flask is unique and beautiful. Created from 18 carat gold, this rare tripod vessel became extremely valuable when it was auctioned off in 2008 for just over $14 million USD. 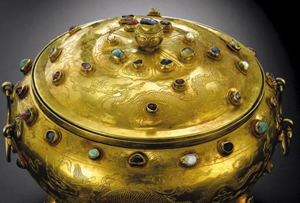 While the vessel is made from gold, many precious gems are studded around the outside. 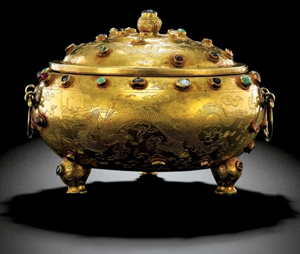 Multiple dragons have then been engraved into the gold of this vessel. 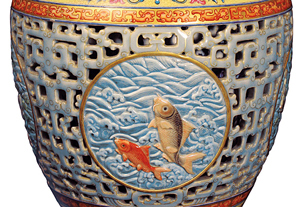 This final auction price of this vessel saw the piece rise to become the most expensive Chinese metal work in history. It is thought that only 8 of these vessels exist today. 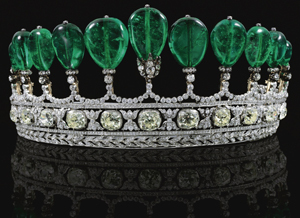 Belonging to the wife of French Emperor Napoleon the third, this emerald and diamond tiara is one of the most expensive pieces of jewelry ever sold at auction. Worn by Princess Katharina Henckel von Donnersmarck, this tiara has 11 Colombian pear-shaped emeralds weighing over 500 carats. 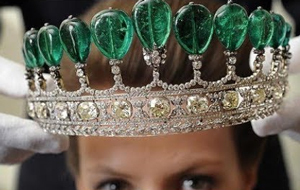 While it is believed this tiara was crafted just before the 1900’s, the emeralds are thought to be much older and to have been handed down from one generation of royalty to another. Dating back to the 18th century is this fine antique secretary desk originally crafted for Nicholas Brown that fetched an outstanding $11.4 million USD at an auction during 1989. This piece of furniture is the tallest known hand crafted piece from Colonial America thought to have been carved during the 1760’s. Standing 112 inches tall and made of pure mahogany wood, it is not only beautiful it is also sturdy. It is for this reason, being one of the most immaculately kept and largest pieces of furniture craftsmanship that it fetched such an outstanding price at auction. Without a doubt, this soup tureen is the most expensive of it’s kind in the world. Crafted by a French silversmith by the name Thomas Germain this piece of art was a present for Louis XV. 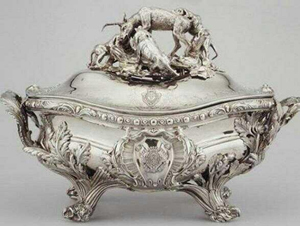 Made during 1733, this 250 year old tureen to hold soup was purchased for $9.7 million USD during 1996. While the photo may not do this kitchen item justice, it weighs in at 30 pounds and is made of pure gold. Featuring four legs and an animal themed handle, this soup tureen definitely shocked auctioneers when it was sold for such a high price. 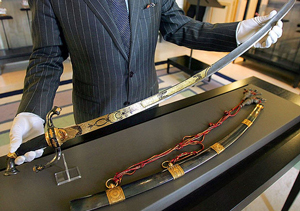 The sword of the famous French king, Napoleon is a one of a kind. Owned by the king himself until 1880 when it was gifted onto his brother, it was no surprise when it sold at an auction for over $6 million. Measuring 32 inches in length, this sword has been previously taken to war by Napoleons side. This sword is not only a piece of history but is also gold encrusted adding to it’s worth. The sword remained in Napoleons family until 1978 when it was declared a national treasure. 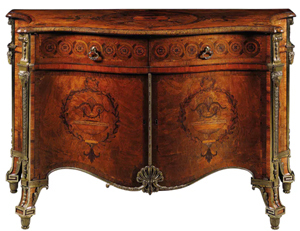 Thought to have been hand crafted by Thomas Chippendale during the 1770’s, this chest of drawers became the most expensive of it’s kind when it sold to the highest bidder for $5 million at an auction during 2010. This work of art sold for such a high price because of the man who made it but also because of the unique design. Made mostly with rosewood, the Harrington Commode measures almost 3 feet tall. This piece of art is among the highest priced pieces of furniture in history. 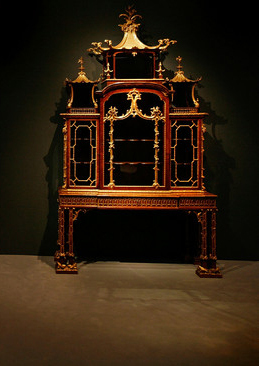 This mahogany cabinet thought to have been crafted between 1755 and 1760, shocked auctioneers when it was sold for $3.9 million at an auction during 2008. This cabinet is intricately detailed from the base to the tip. 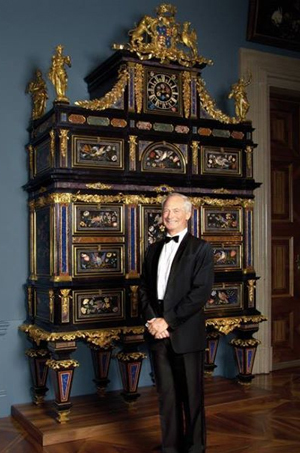 Crafted by Thomas Chippendale, this cabinet stands just over 111 inches tall and 64 inches wide. 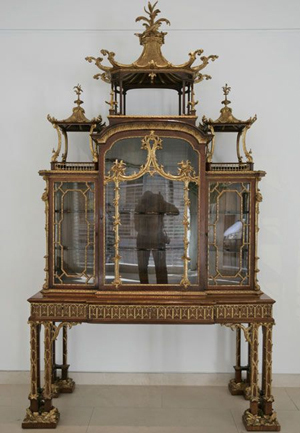 While this cabinet has been sold multiple times throughout history, the most recent sale saw it selling above expectations. While not nearly as old as the other antiques making this rich list, this 1891 US Red Seal Bill worth $1,000 was sold for $2.5 million during 2013. This price saw it become one of the most expensive bank notes in history. The price of this note was a result of who had owned the note but also due to it’s age and rarity. It is not often you see a note of this age from American history in such good condition. 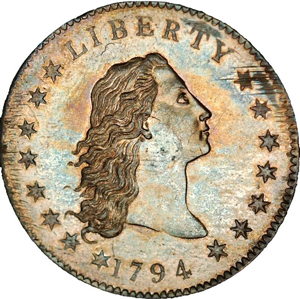 $10 million may seem like a lot to pay for a silver and copper coin but this price was fetched for the very first coin produced by the US federal government. This coin was made out of 90% silver and 10% copper and was the first coin in the US traded for goods and services. The auction of this coin happened during 2013 where the price it fetched exceeded all expectations. Possibly one of the most valuable comics known to man is this first edition Superman comic. 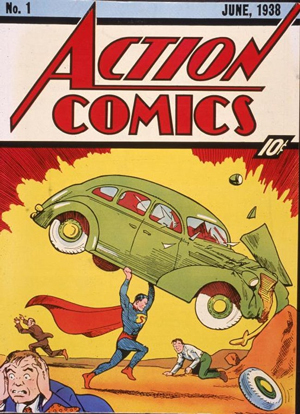 This comic laid the pathway for all other action comics produced. The majority of these comics that still exist today are not in great shape, only 100 expected to still be around so when an immaculate condition of this version surfaced during 2014, there was no surprise one lucky bidder claimed it for an outstanding $3.2 million. This is the most money someone has ever paid for one comic book. 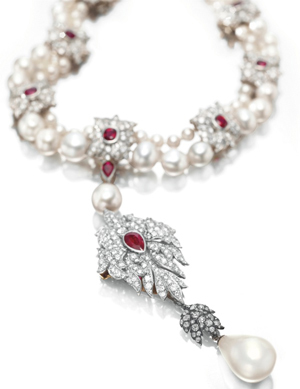 Age of Collectible: The Pearl within the Necklace was found in 1513. Designed into the current necklace setting during the 1970’s. This necklace gained it’s fame from it’s most iconic owner, Elizabeth Taylor. While the necklace was designed by Cartier, the large pearl, just over 50 carats in weight that sits front and center has somewhat of a history behind it. The pearl was first discovered during the 1500’s in a gulf in Mexico, and was then purchased by King Phillip II of Spain as a gift. It made it’s way through many royal women until it was purchased in 1969 for $37, 000 by Richard Burton as a gift to his wife. Originally on a gold chain when gifted to Elizabeth, she then had Cartier redesign the pearl into a extravagant necklace that featured other pearls, diamonds and rubies. This necklace remains the most expensive pearl piece of jewelry in history. A rare find is this 1933 gold double eagle coin as none of them were ever released due to currency law changes during the great depression. While 445,500 of these coins were produced, they were soon all melted back down as real gold coins became an item of the past. Two of these coins were gifted to museums and marked as legal. Unknowns to the mint, a handful more of these coins had been distributed. While many were later confiscated one had already been sent over the boarder. This remaining one coin later resurfaced and after a lengthy court battle was deemed acceptable to sell at auction. The proceeds of the auction were then to be split between the owner of the coin and the mint. 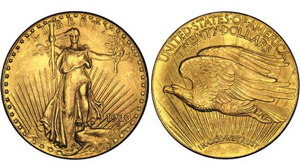 In 2002 at the auction, the coin sold for just short of $7.6 million. 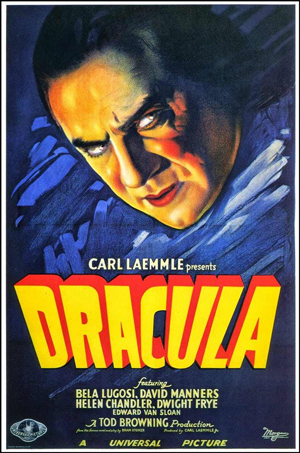 Only 2 copies of this Dracula movie poster are known to still be in existence today. This copy is in immaculate condition and exceeded the auctioneers expectations when it sold for $525, 800 during 2017. When this doll first hit the shelves, she sold for a mere $3.00. Dressed in a black and white swim suit sporting a number of different hair colors, these barbies sell between $10,000 to the highest on record at $27, 450 depending on their condition and if they still have the original packaging.